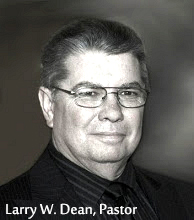 Preacher: Larry W. Dean (62), Kyle White (1), Wayne Camp (1). Book: Luke (1), Acts (64). Series: Featured (62), Convocation2016 (1), Visiting Missionary (1). Service: Sunday Morning (62), Convocation2016 (1), Sunday Evening (1).